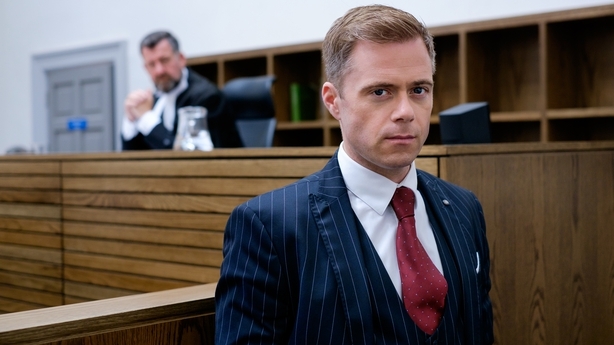 Rory Keenan, who plays cheating solicitor Eric Dunbar in the new RTÉ drama Striking Out, says he had "a laugh" reconnecting with Amy Huberman on the show. They worked together "many moons ago" on the GAA drama series On Home Ground and then later on the medical drama The Clinic, and Keenan said it was "great to catch up with her again". "I hadn’t seen her in a long time, I've been living in London for the last seven years so I wouldn't have seen her out and about much. It was really good to reconnect and have a laugh, and it was a laugh", he told RTÉ Entertainment. 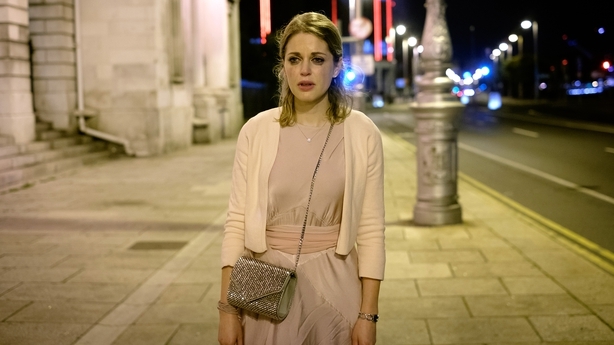 In the opening episode of Striking Out, Huberman's character Tara, also a solicitor, heads home early from her hen party only to catch her fiancé, played by Keenan, in bed with another woman. The Irish actor said his character has a lot of grovelling to do for the rest of the series. "He does have to try to crawl his way back with everybody, which is interesting to watch. At the end of the day he did a bad thing, so for a lot of people, very understandably, there's no way back, despite his efforts. "We'll see how it pans out for the rest of the series, he does try to make amends but for a lot of people trying isn't enough. Once you do the deed, you're done! ", he said. Keenan admitted that it was a "baptism of fire" for his character because the audience doesn't get to know him before they see him being unfaithful to his wife-to-be. However, the London-based actor said he was very comfortable filming the scene, which he said was handled "very sensitively". "The scene itself was fine because I know Natalie from years back, who I was caught with, and obviously I know Amy very well", he explained. "It was at a point in the shoot where we were all very comfortable with each other, and of course everyone on the set was very sensitive to the material. It was a bit of a laugh really, I think if you can't have a laugh with it it's not going to turn out well. "I think it was all very sensitively done, and we did what we needed to do to give the opening gambit of the show a bit of a jolt." Keenan said he thinks it was a "really stupid mistake" on Eric's part, but that the character "does love her and I think she does love him". It remains to be seen if Tara can forgive him, "maybe one strike and he's out, I'm not sure". The legal drama has been praised for beautifully capturing the cityscape of Dublin, which Keenan said he was was delighted to see, particularly as he lives in London and hasn't spent much time in Ireland's capital city in recent years. "You forget that when you arrive in Dublin, your shoulders drop a bit, as opposed to being in London where you're surrounded by 11 million people who are going somewhere fast", he said. "It was really lovely to see how much of a burgeoning city it is, again, a number of people I've spoken to who have been in Dublin recently have said the same, there seems to be a new lease of life in the place. It's really palpable actually. So it was great to be a part of representing that on screen." Keenan is currently starring in the West End adaptation of George Bernard Shaw's play Saint Joan alongside Bond star Gemma Arterton. The show is running until February, when it will be broadcast live in cinemas around the world on February 18th. Keenan admitted it is "kind of nervewracking" because you have the added pressure of the cinema audiences. "There's a certain amount of ownership over it that we have at that point in the run, but nonetheless you are aware of the thousands and thousands of people watching the sweat drip from your brow! ", he said. The actor had tried to do "more or less a 50/50 split" between stage and screen work over the past seven years in London, adding that his roles "have been very diverse". Would he consider moving back any time soon? "Maybe not quite yet but every time I go back I forget how nice it is at home, just to have access to the sea and the mountains and a decent pint. It's definitely a welcoming place", he said. Striking Out continues on Sunday at 9.30pm on RTÉ One, get a taste of what's in store below.